Flanders DC - Who are the winners of the Henry van de Velde Awards? Home Magazine Check out the winners of the Henry van de Velde Awards! On 30 January 2018, the Henry van de Velde Awards were awarded in BOZAR in Brussels! Ten designers, companies and design projects received this prestigious awards. Discover all the winners in this article. Within the category of the Special Awards with the Lifetime Achievement, Company and Young Talent Award the winners respectively are Bart Lens, Verilin and Sep Verboom. Within the Design Solution Awards there are 6 projects that receive an award, next to the public prize. The 18 nominated entries are selected based on the 'good design' criteria and (for the first time) an international jury finally appointed the 6 winners. Visit the exhibition in BOZAR until 15 April. De Henry van de Velde Lifetime Achievement Award? goes to Bart Lens. Why did the jury choose for Bart Lens? Through his architecture, Bart Lens hopes to have an impact on our living environment. Besides buildings, he designs the kinds of objects with which we surround ourselves. Bart Lens transforms things which already exist. As a part of the creative process, he observes how people experience their environment and how they occupy space. He is drawn ever closer to the materials, with the traditional ways of working them becoming ever more important. With this emphasis, Bart Lens brings sensitivity and atmosphere to a substantial part of the overall living environment. The jury was appreciative of this vision and logical approach and concluded that he had developed a particularly well balanced body of work. That is not all, however. In his assignment for Bokrijk he became an ambassador for traditional crafts heritage through the Bokrijk brandmerkt project. In this project he unites the present, past and future of craftsmanship in a single narrative, by bringing together the tradespeople and designers of today and tomorrow. For the jury, this was the deciding factor. 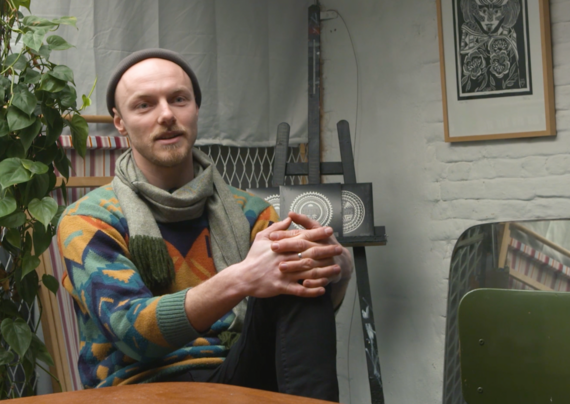 Bart Lens talks about his work and vision in this movie. Read more about it in this article, written bij Marc Dubois. De Henry van de Velde Company Award? goes to Verilin. Why did the jury choose for Verilin? Verilin produces luxury collections of table, bed and home linen. 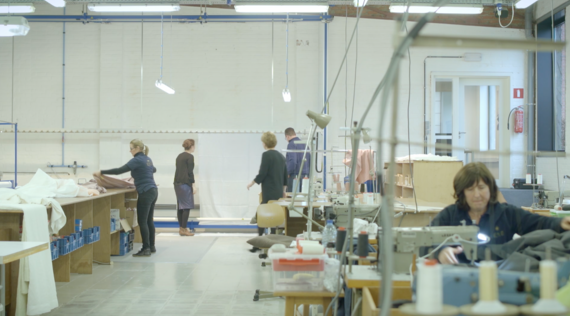 To create these pure, authentic products, the family business from Kortrijk combines 60 years of craftsmanship with a strong urge for innovation. Verilin is also a 100% local, Belgian story. The third generation, Ilse and Anne-Sophie Dedeken, have gone on to specialise in made-to-order products, and they receive regular orders from Michelin-starred chefs, artists and designers. These cooperation partnerships often generate more new ideas for innovation. The jury was won over by Verilin’s significant investments in ground breaking, innovative research. The new looms have opened up new possibilities, giving them a unique position in the market. Get behind the scenes of Verilin in this movie. Read more about this company in this article, written by Elien Haentjens. De Henry van de Velde Young Talent Award? goes to Sep Verboom. Why did the jury choose for Sep Verboom? Industrial designer Sep Verboom is a child of his generation: idealistic, but grounded, not just local, but also global, collectivist rather than individualist, and communication-savvy. The (distant) future is what occupies him most. And the jury was very impressed with this. Sustainability, the broadest sense of the word, is the common thread in his approach, design objects and stance as a sustainable entrepreneur. Sep Verboom wants to show people sustainable alternatives to traditional industrial production and to unite people and get them working together to find openings in the system. At present he works for industry and NGOs alike. The jury sees Sep Verboom as a textbook example of what today’s designers should be: not just producers and innovators, but people who inspire and connect, and, of course, people who make the world a better place. 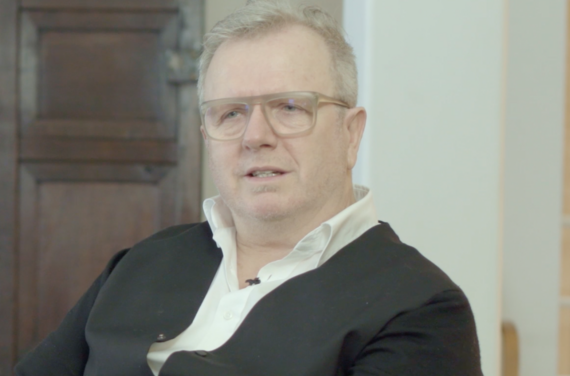 Discover how Sep Verboom thinks and works in this movie. Read more about this designer in this article, written by Leen Creve. The Communication Award? goes to the promotion of the reopening of the Museum Plantin-Moretus. Kastaar ventured out onto the streets of Antwerp with two mobile printing presses and designed its own museum shop collection based on 16th-century illustrations from the archive. The Design-led Crafts Award? goes toTableskin, a tactile tablecloth and napkins. The design is a linen translation of a hairy animal hide. Tableskin is 100% Belgian, designed by Lore Langendries and made by Verilin. The Ecodesign Award by OVAM? goes to Post-Couture Antwerp by Post-Couture Collective, designed by Martijn van Strien. Post-Couture Collective offers an alternative to the current overproducing fashion system by developing a new method for producing sustainable, affordable and personalised clothing. Post-Couture Antwerp models were developed by five Antwerp fashion designers. Watch the movie about Post-Couture Collective. The Efficiency Award? goes to Dubio, a brick with shadow lines that create an illusion of two or three thin stacked bricks. This is an aesthetic and cost-cutting idea that benefits both bricklayers and architects. Roel Vandebeek designed this brick for Nelissen Steenfabrieken. The Everyday Life Award? goes to Stubs. Frank Ternier has developed four colourful and stackable stools for Labt that together form a whole. The stools owe their pure look to the creased legs, an inconspicuous detail that you don’t immediately notice. The Healthcare Award? goes to Colli-Pee, a smart device for a guaranteed and standardised collection of first-void urine, i.e. the first 20 ml of the urine flow. This highly concentrated urine is used for the improved detection of infectious diseases and cancer. Voxdale designed Colli-Pee for Novosanis. The wider public did indicate online their favourite product or service ouf of the 18 nominations of the Design Solution Awards. The one with the most votes wins the Henry van de Velde Public Award. The winning project is Theomatik, a table tool to allow people with only one functional arm to eat independently, not only at home but also when visiting others. The idea came from Theo Willen and Frédéric Boonen turned it for Jessa Ziekenhuis into a convenient design. Are you interested in the other nominees who didn't won? You can visit our site and explore them all! Visit the exhibition of the Henry van de Velde Awards in BOZAR! From 31 January until 15 April 2018 you can discover the work of the winners and nominees of the Henry van de Velde Awards. The catalogue (10 euro) can be bought in the BOZAR bookshop.